Customize the Queen Anne Square Bun Foot by choosing an Add-On below. With timeless, sophisticated design, the Queen Anne Square Bun Foot will elevate all your designs. 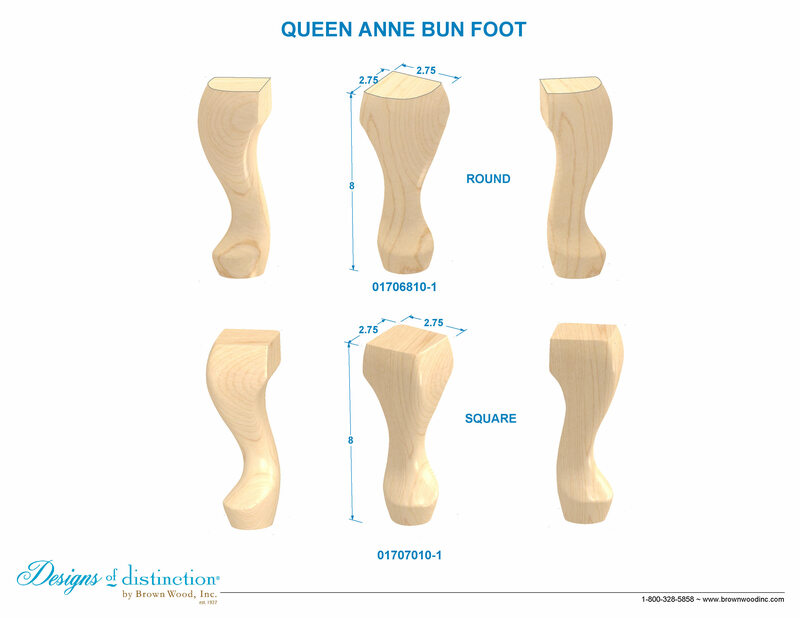 Finish or update your cabinets, seating, chests or bed frames using the Queen Anne Square Bun Foot to add everlasting character. Establish a theme using all wood components from the Queen Anne French Collection. Matching components available in the Queen Anne French Collection.